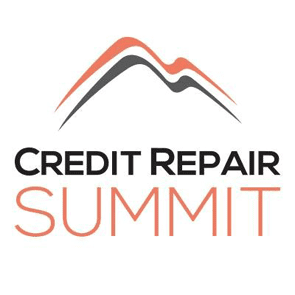 In a Nutshell: A month-long training seminar starting October 4, Credit Repair Summit offers industry insights and powerful business tips for any size credit repair business — all online. Easy, ongoing access to the presentation videos, Q&A sessions, and supplemental materials ensure you never miss a speaker or discussion. In the “here today, gone tomorrow” world of credit repair businesses, the wrong moves — like too frequent disputes, charging upfront for services not yet rendered, or improperly requesting removal of items from a credit report — can shutter doors. While credit repair is a rapidly growing field, from individual operations to larger firms, they could all stand to benefit from updates to how the laws governing credit repair work or refresher courses on best business practices. The third annual Credit Repair Summit is hosted by Score Inc., an enterprise credit repair software as a service. The online event aims to provide top quality education from the comfort of your home or corner office. Structured like college credits, the courses offered over the four-week training summit start at beginner level 101 classes and go all the way up to 401 level throughout the month of October. The event begins October 4 and will provide over 100 unique presentations. The founder of Credit Repair Summit, Joshua Carmona, said when he entered the credit repair space in 2004, there were hardly any resources available for businesses. The summit is focused heavily on compliance, including presentations from experts on how to stay compliant, what the best dispute methods are, best sales and marketing practices, and more. Virtually attending the month-long Credit Repair Summit comes at two different price points with increasing benefits. Both attendance costs include free use of ScoreWay University, an online platform of credit repair training and resources, and both provide access to the recorded sessions of the 2016 event. Attendees also receive transcripts of the presentations for further study. While there are still some speakers yet to be determined, previous Credit Repair Summits have boasted at least 20 individual experts plus round-table guests, who in total give approximately 100 presentations during the course of the event. Each presentation lasts around 45 minutes to an hour, and the schedule runs for four weeks every Tuesday, Wednesday, and Thursday for three hours a day. During the live sessions, offered through GoToMeeting, you can ask questions by submitting them during the Q&A part of each presentation or you can also request further clarification through the summit’s LinkedIn group. If you happen to miss any of the live presentations, you will have access to the recordings afterwards, and if you sign up partway through the summit, you will still be able to access the recorded presentations for 2016 and any other year your ticket includes. Joshua explained that the summit topics include lessons on better business and marketing practices to help grow your credit repair company, but the true focus of the event is to bring you up to speed on current compliance regulations. Last year, the keynote speaker was Doug Parker, the founder of RMCN Credit Services who had come under fire from the Federal Trade Commission a few years ago for less than ideal business practices. Having learned a lot going through that ordeal, while still operating RMCN successfully, Doug shared how any size business should be aware of the activities suspicious to the FTC. The complaint levied against Doug included charging fees upfront and filing inaccurate disputes that resulted in a $400,000 settlement. Speaking from experience, Doug was able to share what exactly could flag the FTC to investigate your business and was extremely well-received as keynote. All of the speakers presenting at the event offer many industry insights from personal experience so attendees receive a well-informed, well-rounded education. Joshua and his business partner at Score, Joel Pate, have presented high-level courses on marketing, operations, credit training, and dispute methodology at past summits. Joshua Carmona and Joel Pate, founders of Credit Repair Summit and Score Inc. The topic they presented together last year, entitled “What Will You Have to Commit To In Order To Reach Your Goals?”, focused on perfecting the operations of your business to be more efficient and, in turn, more successful. Joshua and Joel act as the glue between presenters during the summit and provide insights into the business from their unique perspectives as service providers to credit repair businesses via Score. 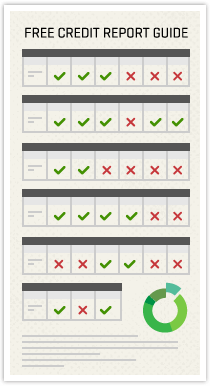 The tagline of Score, Joshua and Joel’s credit repair software as a service, is “Be Compliant. Be Successful.” And that mantra is carried through to the theme of Credit Repair Summit. Joshua is proud that the summit is able to serve as the necessary education he found lacking in the credit repair industry more than a decade ago. The summit exists to ensure businesses of any size knows the industry standards and finds inspiration for success. Seeing as how Credit Repair Summit is going on its third year, the event seems pretty successful itself.